We built 8 villas in 2009 and built 5 villas and an ablution block in 2017 with an associate company and we found D.A. Burke Builders professional and efficient and delivered on time. Their price was very competitive and would not hesitate to recommend them. We are thrilled with our recent home renovations carried out by D.A. Burke this year! The finished result is wonderful, and the process was enjoyable, thanks to the professionalism, efficiency, attention to detail and friendliness of Daryn and Matt, David and all the tradies who did a great job. Their knowledge and expertise sets the bench mark high for the building trade. As a family business, their customer service was personalized, workmanship 100% – and they were always prompt and reliable. Regardless of whether your job is a small or large scale, nothing is too hard for D.A. Burke Building Co. We highly recommend their services. I have built two homes with this company and their service and attention to detail were second to none. From design to hand over the whole process was both effortless and enjoyable and the finished products were outstanding. A testimony to this was that when I sold these properties they were both on the market less than four weeks. If you’re looking for a quality home, built on time and on budget – I highly recommend these guys. The scheduling was precise, almost military like. What a novelty to rock up once a week to see so much done. Kudos to everyone involved at D.A. Burke builders for transforming my scribbles into this magnificent reality. Brought in to rectify a number of build problems associated with the original builder, D.A. Burke were exemplary in their service and quality workmanship. The team of Clayton, Daryn and Matt approached the challenge professionally and with great insight to the problems and in turn to the solutions, always with our best interests in mind. We are delighted with the results and have no hesitation in recommending D.A. Burke to anyone wanting a professional, innovative and enjoyable building experience. D.A. Burke was founded on family values and a sense of integrity that spans 3 generations of builders. 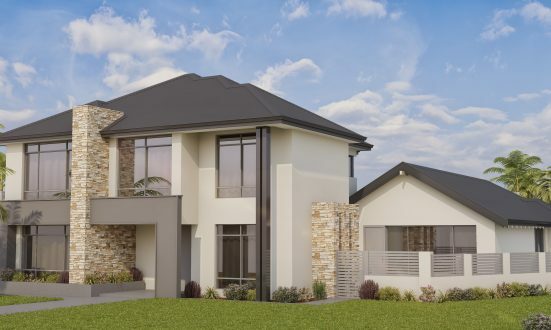 From humble beginnings as home builders in Mandurah, we have grown to be one of the most well-respected custom home builders in Mandurah and the Peel region with a reputation for unparalleled customer service. Our services include New Home Construction, Custom Home Design, Renovations and Makeovers, and the Designstone Walling System. We approach every project we sign on to with the utmost commitment to quality and endeavour to make every client’s building experience stress-free and enjoyable. When it comes to building new homes, renovating existing homes or carrying out Designstone walling projects, everything we do is completely customised, and no two houses we have built are the same. It is also rare that any element within those houses would be similar. 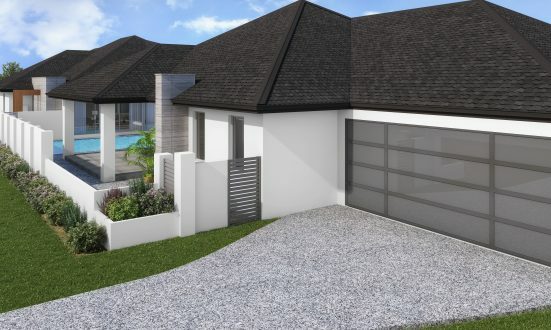 This is because, we are more than just new home builders in Mandurah, and understand that every single one of our clients is unique and has unique needs in regards to both the aesthetic and functional features of their home. By giving every project the same incredible attention to detail we are able to ensure that all of our clients’ needs are not just met, but exceeded and that the end result is nothing short of spectacular. We have won awards for customer service and innovation and will apply these winning qualities to your build. We have developed a bespoke process that ensures our integrity and that each client leaves satisfied with their investment. From full turnkey development to refreshing your kitchen or bathrooms, no job is too big or too small for the team at D.A. Burke Builders, Mandurah, WA. At D.A. Burke we are driven by our steadfast commitment to our values and delivering quality custom homes to all of our clients. We apply a high level of detail to every project we undertake, a characteristic that has earned us the title of multi-award winning builders. With over 40 years of experience we are a well-respected name in the building and custom home industries. We understand better than most that your home is your most valuable asset, especially when it’s custom built. That’s why we take the upmost pride in ensuring your complete satisfaction, not just with the finished product, but also throughout our bespoke building process. When it’s finally time to build and you’re looking for someone to trust with your dream home, look no further than D.A. Burke – a family-owned and operated custom builder who truly understands your build and what it means to you. Simply beautiful custom homes. Setting the benchmark in Design & Construction for over 40 years. 10 Rafferty Close, Mandurah, WA 6210, Australia. Copyright © 2019 D.A. Burke Builders. All Rights Reserved.